As you can see, my shelves runneth over. Clearly, I have a problem, but I have no desire to curb this addiction. I’m always looking to expand my collection (a bunch more are on the way! 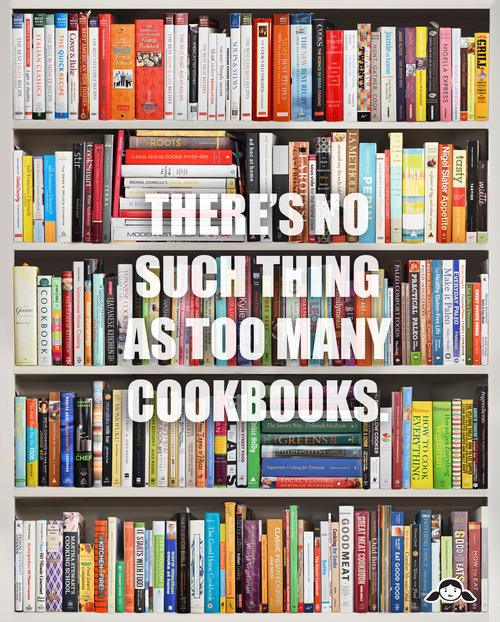 ), so I want to know all about your favorite cookbooks. Please share your recommendations in the comments section below!